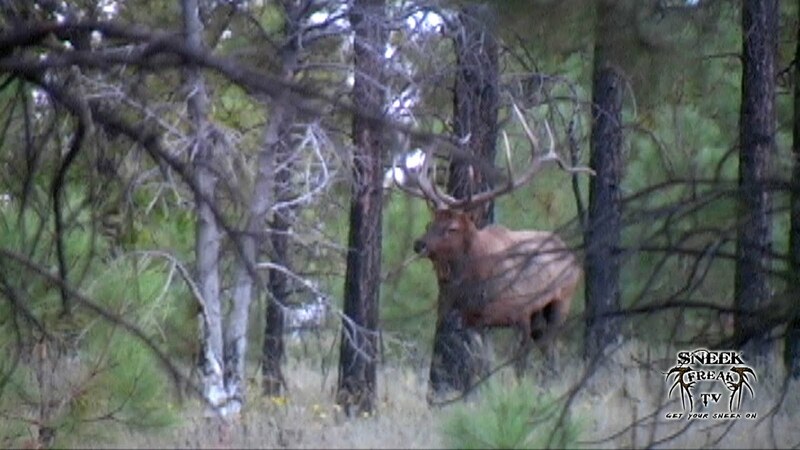 Shortly after passing on a couple of decent bulls, including a young non typical, we came across this great bull. Cameraman, Ben Craft, was able to get some footage as I fell back to call and Russ snuck in closer. His fourth and fifth point were both broken on his right side, but we felt he was still a strong bull. We were snacking on some Oreos while back at camp watching the footage and Ben started calling him "Oreo". We had another couple of encounters with Oreo, but were never able to close the deal.